VAHAKN OP1 CASE #3DThursday #3DPrinting « Adafruit Industries – Makers, hackers, artists, designers and engineers! 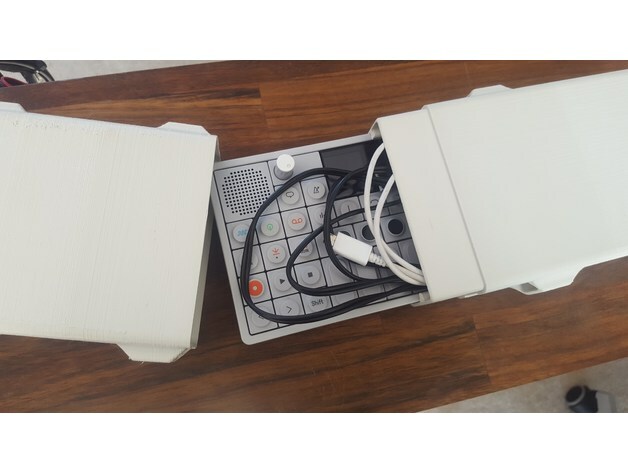 OP1 Case by VAHAKN MATOSSIAN. Super sweet 2 part print for 20 x 20 x 20 build volumes. All the ones online don’t cut the mustard. WARNING recommend scaling up 0.2 – 0.5% – mine came out needlessly snug. It has loosened up but id prefer it a feather more clearance. I did mine in PLA flex. I wanted it squishy-ish. SLD files for u gangstas out there.